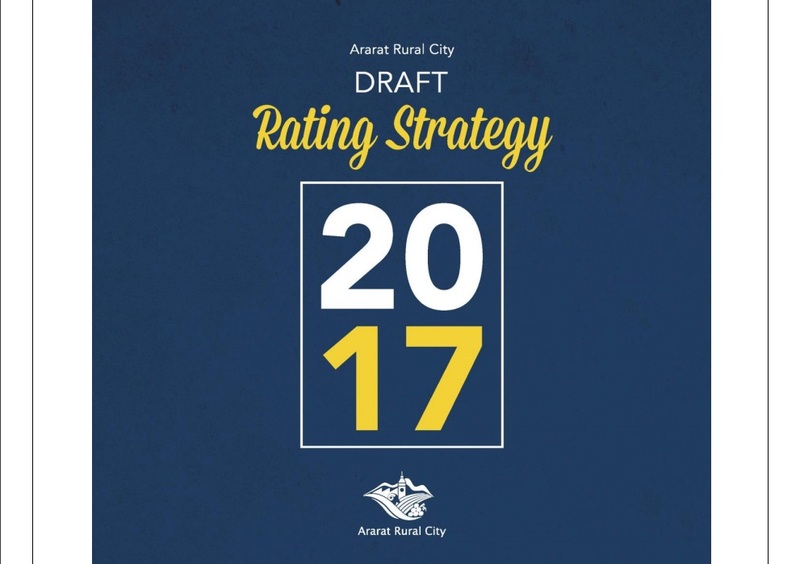 All residents across the Ararat Rural City municipality will soon receive a letter detailing what their specific Municipal Rate and Municipal Charge payments will be under the proposed Draft Rating Strategy. 1. A Draft Council Plan 2017-2021 - a strategic document which describes the council priorities and outcomes for the next 4 years, and how these will be resourced. These three strategic documents are now out on public exhibition and can be viewed on Council’s website www.ararat.vic.gov.au or at the Municipal Offices. Any person wishing to make a written submission on a proposal contained in the three documents must do so before June, 2 2017. Submissions can be posted to PO Box 246 Ararat 3377, or via the ‘Have your Say’ on Council’s website. Any person who wishes to be heard in support of their written submission must request this in their submission. Such persons will be entitled to appear in person or by a person acting on his or her behalf before a Special Council meeting to be held on Tuesday, June 6 2017 at Alexandra Oval Community Centre. Details regarding a number of interactive information sessions will be announced in the coming days.